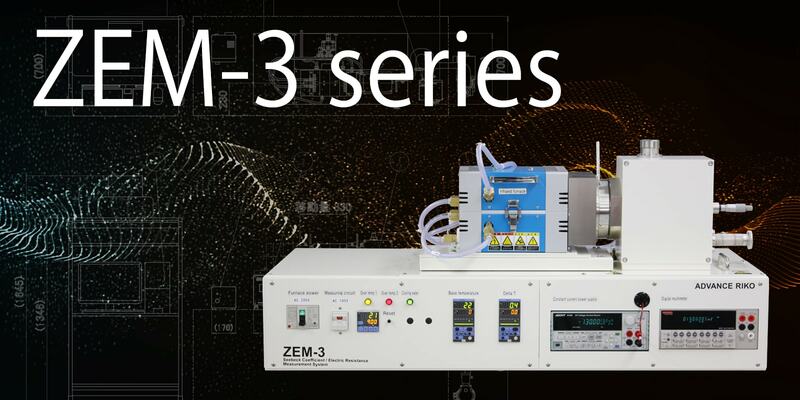 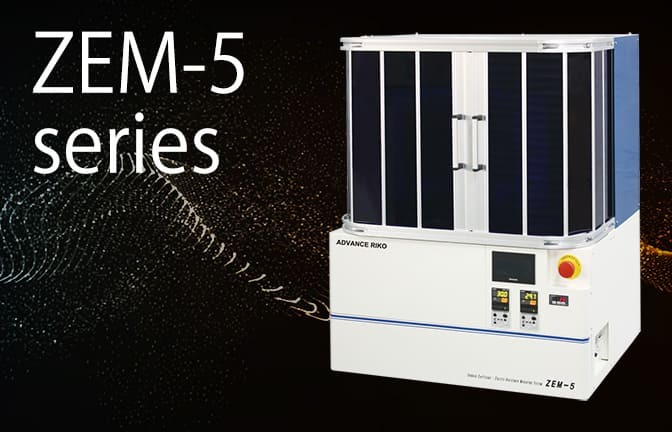 Seebeck Coefficient / Electric Resistance Measurement System ZEM-3 series | ADVANCE RIKO,Inc. 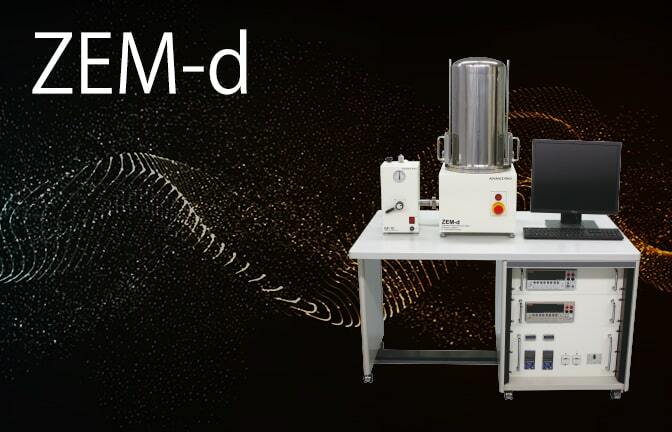 Simultaneously measures the Seebeck coefficient and electric conductivity of thermoelectric materials. 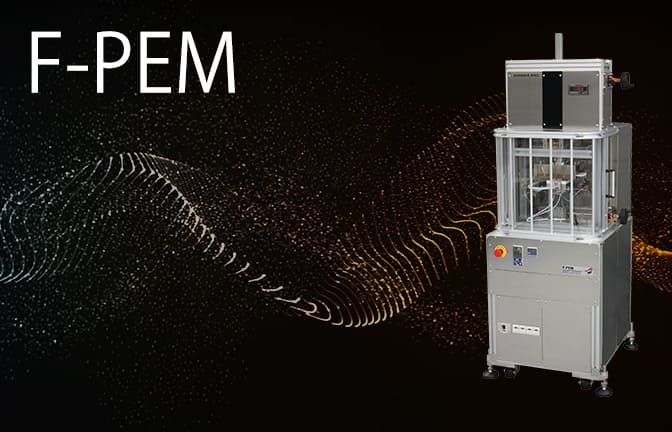 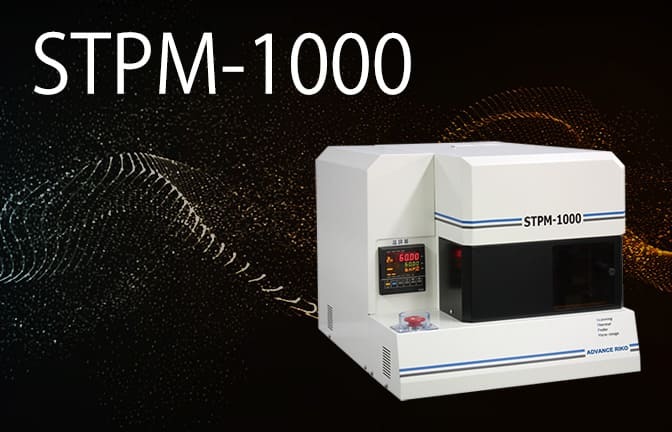 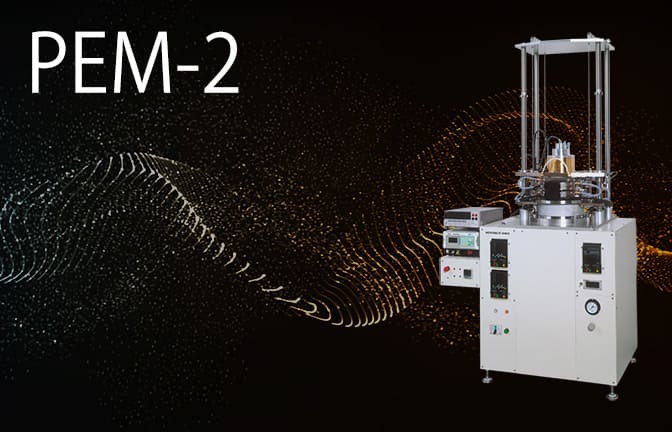 Based on requests from both domestic and international academic societies and customers, this system features our easy to use, high-precision measurement techniques. 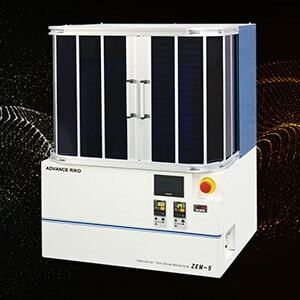 Complies with JIS standards for thermoelectric material Seebeck coefficient measurement equipment. 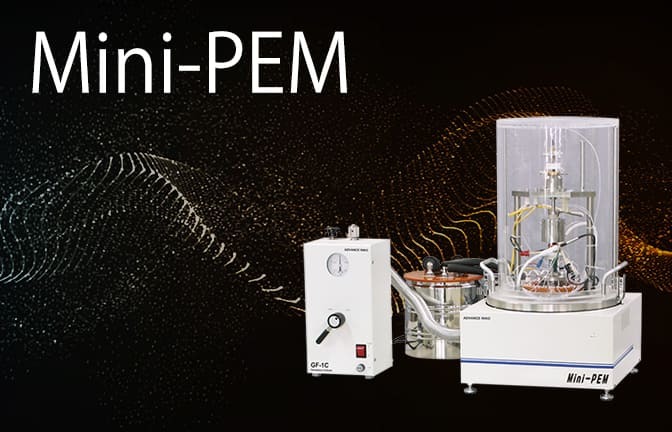 Available to measure a thin film with an original adapter as an option. 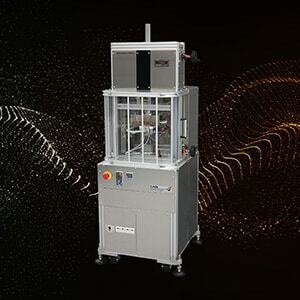 A prism or cylindrical sample is set in a vertical position between the upper and lower blocks in the heating furnace. 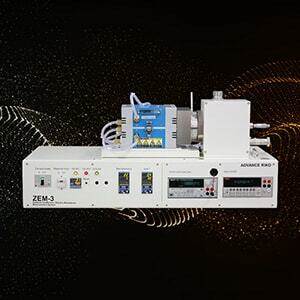 While the sample is heated, and held, at a specified temperature, it is heated by the heater in the lower block to provide a temperature gradient. 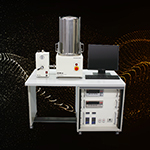 Seebeck coefficient is measured by measuring the upper and lower temperatures T1 and T2 with the thermocouples pressed against the side of the sample, followed by measurement of thermal electromotive force dE between the same wires on one side of the thermocouple. 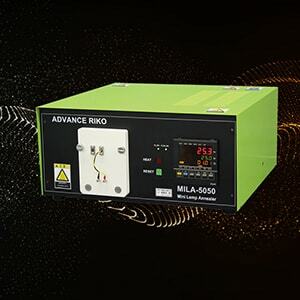 Electric resistance is measured by the dc four-terminal method, in which a constant current I is applied to both ends of the sample to measure and determine voltage drop dV between the same wires of the thermocouple by subtracting the thermo-electromotive force between leads.